You do not recognize yourself in the academic world? You want to combine entrepreneurship and PhD? You feel ready to work on an interdisciplinary research project? IMPORTANT: You must not have spent time in France more than 12 months during the 3 past years. In short, Elvesys is THE Microfluidic Innovation Center. Our start-up is based in the most beautiful place, Paris! The company was founded by 3 former researchers in microfluidics, we became a unique mix between a private research lab and a start-up incubator. 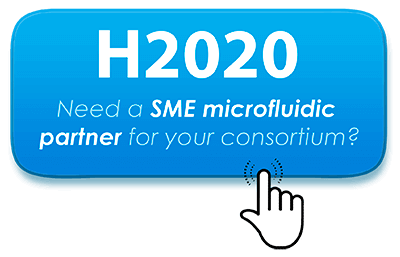 Since 2011, we have created a dozen innovative companies in fields related to microfluidics and NBIC (nanotech, biotech, informatics and cognitive sciences). All those companies now make up the NBIC Valley and we work in close collaboration with them. Our goal? To set the basis of NBIC technologies in France in order to help our country take the train of the next biotechnological revolution. A PhD at Elvesys has nothing to do with a typical PhD. You will be immersed in a start-up with a strong entrepreneurial and innovative spirit. You will start your PhD with three months of entrepreneurship. Your mission: bring to the market a new product. This experience will allow you to learn entrepreneurship basis. After these 3 months of training you will continue working on an entrepreneurial project in parallel to your scientific project. The scientific project: You will be involved in a research consortium with partners from the whole Europe in the project which aims to understand the origins of life. You will develop a droplet generator on-chip to reproduce cells compartmentalization, and study how the phospholipidic composition of the interface impacts the chemical exchanges occurring in this model cell. Then, in close collaboration with another PhD student, you will develop a microfluidic platform dedicated to the control of physical and chemical parameters to recreate the chemicals reactions at the basis of life. Your personality: You like to think “outside the box”, to be put out of your comfort zone. You would like to take up the challenge of doing a lot with little. You are able to adapt yourself quickly in a changing environment. You have team spirit and like to share your scientific problematics with a multicultural and diverse environment. Because you want to do beautiful science in a stimulating environment and to create the new marketable microfluidics innovation!